Packaging: Classic Anker blue/white paper box (great job to not use plastic). Inside there is the cable itself with a nice cable tie, a happy/not happy card and FCC statement card. Cable is thicker than apple lightning cable and screams great quality. Just holding the cable, you can guarantee that this will not break before Apple lightning cable. Testing of Cable: I tested this cable using an Aukey PA-Y18 (18 Watt PD charger) and an Aukey PB-Y14 (74 Watt Powerbank with USB-C and Apple Lightning inputs. I also used an Aukey USB to USB-C cable (1.5 ft in length) that is half the length of Anker cable for comparison of cable quality. In addition an Anker 26800+ powerbank was used for providing QC3.0 output. When 18 Watt PD charger was used, Anker cable provided 5.24V and 1.94A (total 10.16 Watt). This is very interesting because this Aukey powerbank is only rated for accepting 7.5 Watt through Lightning input. When I used Anker 26800+ powerbank as power source (QC 3.0 port), I get 5.09V and 1.94A (total 9.87 Watt). Using the same setup but using a different cable (Aukey USB to USB-C) that is only half the length of Anker cable, I get less power (9.36 Watt). Even at 2x length the Anker cable had lower cable resistance (2.62 ohm vs 2.76 ohm) than Aukey cable. This is awesome to know and shows that Anker cable is of excellent quality and does provide higher power for any charging events. Comparison to Genuine Apple Lightning cable: Using the same setup, I get 4.93V, 1.13A (5.57 Watt) charging through the genuine Apple cable. That cable has a resistance of 4.36 ohms (167% more than Anker cable). Anker cable is charging at 177% higher power. These are really good numbers! Great review and pictures. I always like detailed reviews with pictures (even though I hate reading a lot sometimes). 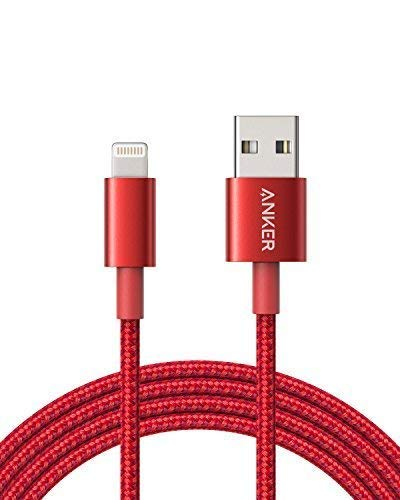 Would you by any chance have one of Anker's USB A to lightening cable for comparison? Yes I do have a Powerline USB A to Lightning cable and it has very similar performance to this USB-C to Lightning cable (within 95% performance range). It is a little longer cable as well 3.3 ft vs 3 ft that can explain a little performance variation. Nice review and excellent pictures! I’ve stopped posting so many pictures of the packaging for my anker products, since it pretty much all looks the same . Keep up the good reviewing! More than an excellent review. Thank you @kumar.sachin ! This has been added to my list of things to buy soon.